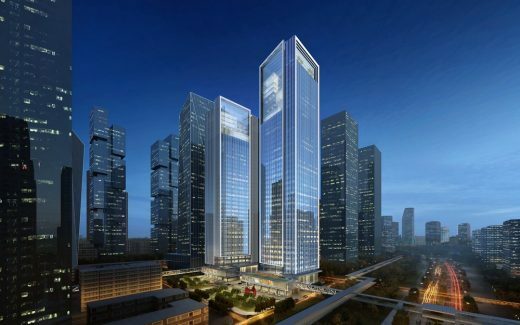 Chicago-based architecture firm Goettsch Partners (GP) has recently won the design competition for the new 129,000-square-meter, two-tower COFCO Qianhai Asia Pacific Headquarters complex, located in the emerging Qianhai district of Shenzhen, China. 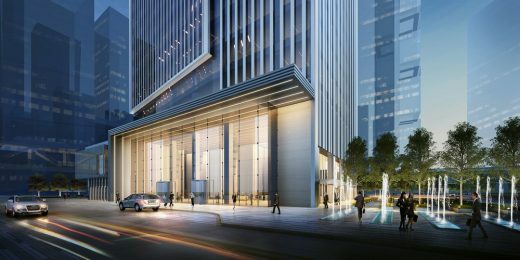 With investment from parent company COFCO Group, the 200-meter-tall COFCO Asia Pacific Tower will serve as the headquarters for the company’s Asia Pacific group, while the 180-meter-tall Aviva-COFCO Financial Tower will provide space for the Aviva-COFCO Life Insurance Company. The two towers are nearly twins, with each tower composed of several slender bars that step back to reveal a series of internal atria and a sky terrace in the upper zones. 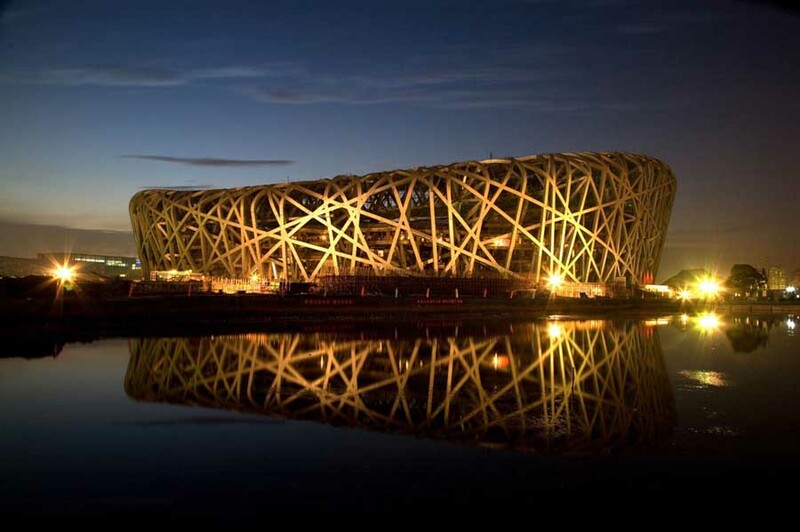 The tower facades are defined by large, distinct frames and bespoke curtain walls that accentuate the buildings’ verticality. Facades facing the park are slightly angled to enhance occupant views and maximize the view corridor between the two towers. 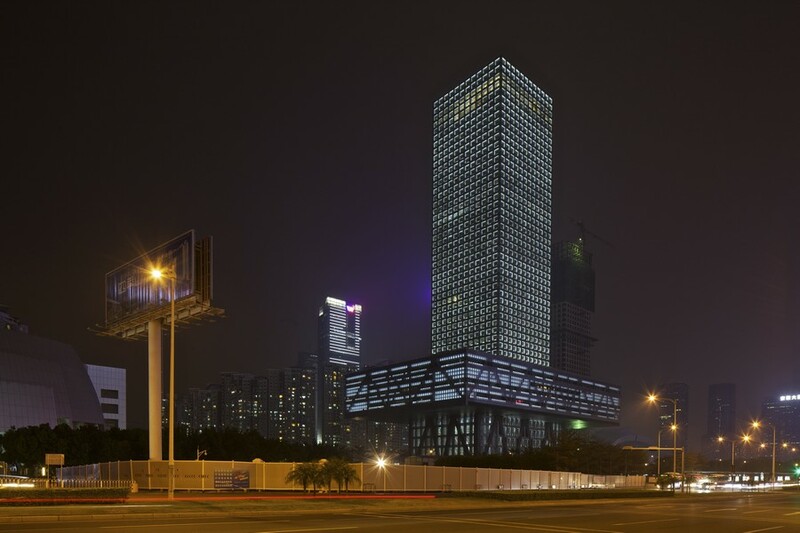 The high-performance curtain walls are designed to remediate Shenzhen’s moderate tropical climate by providing external solar shading and natural ventilation, with operable windows hidden behind perforated metal panels to reduce the visual disturbance on the overall façade. 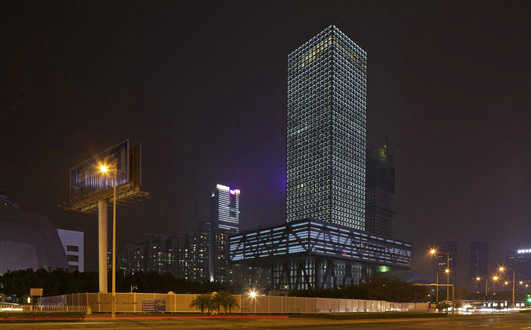 Connected directly to the city’s extensive pedestrian and public transportation system, the COFCO site serves as a neighborhood hub linking the green belt to the east with nearby office towers. 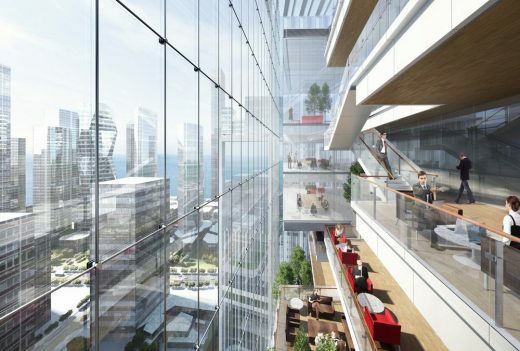 The retail podiums, internal atria and pedestrian bridges all facilitate the transitions between the above- and below-grade retail, public park and office lobby. Both exterior and interior paths allow the public to easily pass through the site, resulting in a unified urban experience between the neighborhood green spaces. 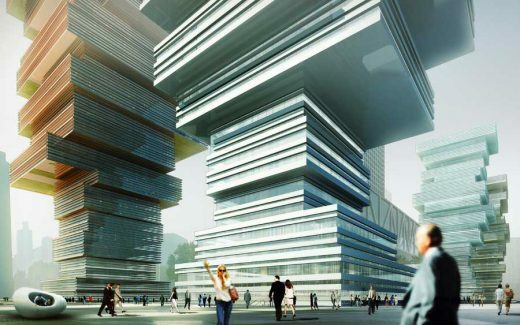 The upper zone of each tower is reserved expressly for COFCO headquarters. The interior is designed to accommodate current workplace trends in office headquarters facilities that allow for flexibility and provide ample social space to promote employee interaction and an open exchange of ideas. A large internal atrium connects the social zones on each floor, creating a continuous open space from the main lobby up to the sky terrace. At the top of each tower, the large, 300-square-meter sky terrace offers a spectacular outdoor amenity space for COFCO employees. 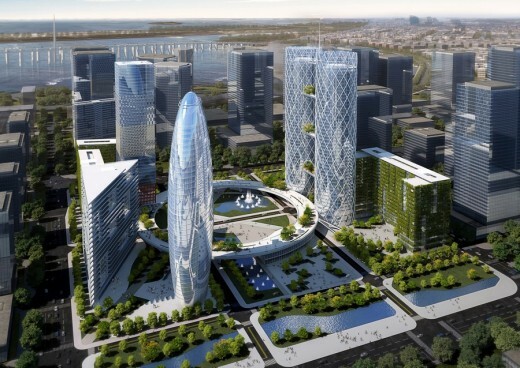 The COFCO project is currently in the schematic design phase, with construction scheduled to start this summer and completion anticipated in 2019.